Piped seam derby, 2 eyelets. 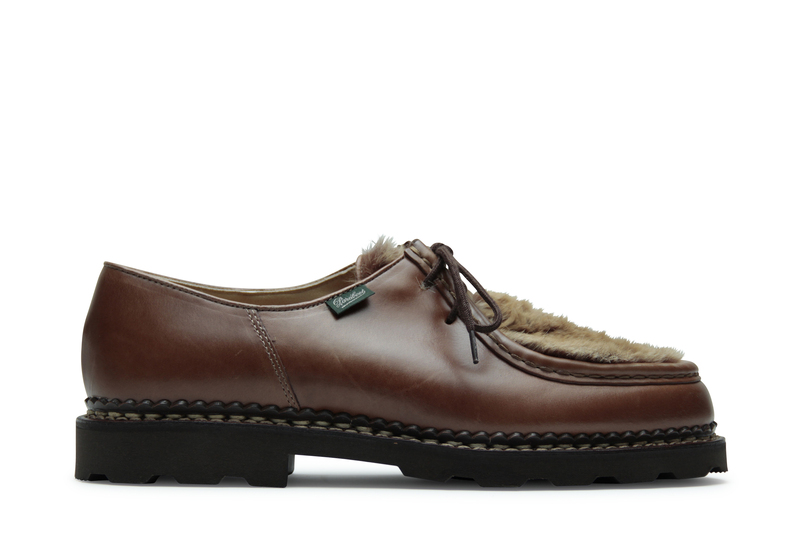 Leather lining, genuine Norwegian welted on genuine rubber sole shoes. 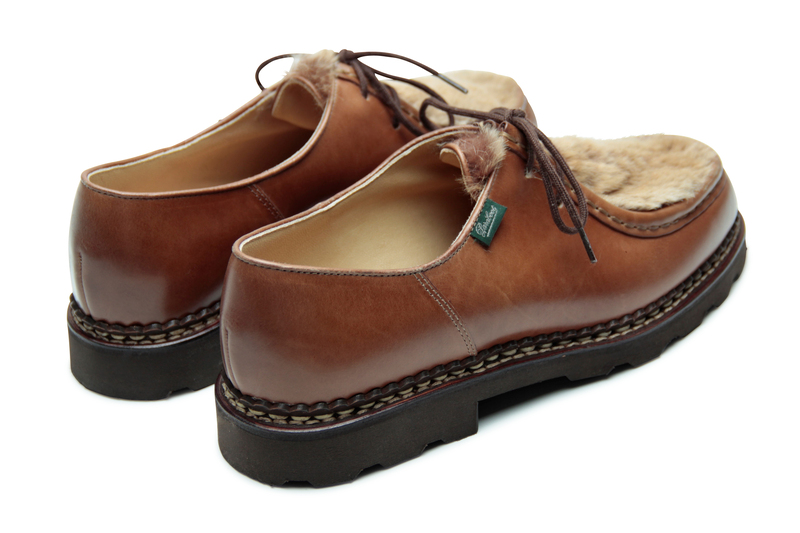 Paraboot is the world leader in Norwegian construction. 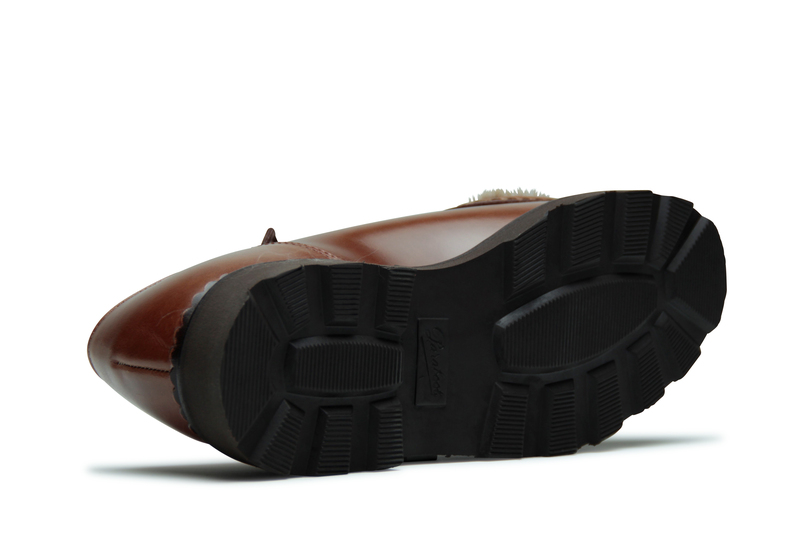 The upper is fixed to the sole by means of a welt. Both lines of stitches are visible: the "Norwegian" welt connects the welt to the upper and the assembly insole. 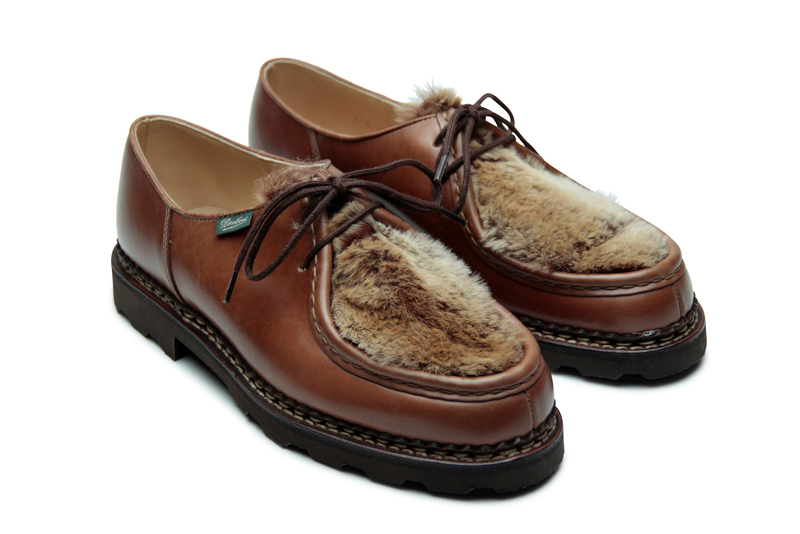 Special fine stitching connects the welt to the outsole. It is also possible not to have a welt, in which case the two lines of stitches are sewn directly onto the leather at the bottom of the upper; this serves as a welt. 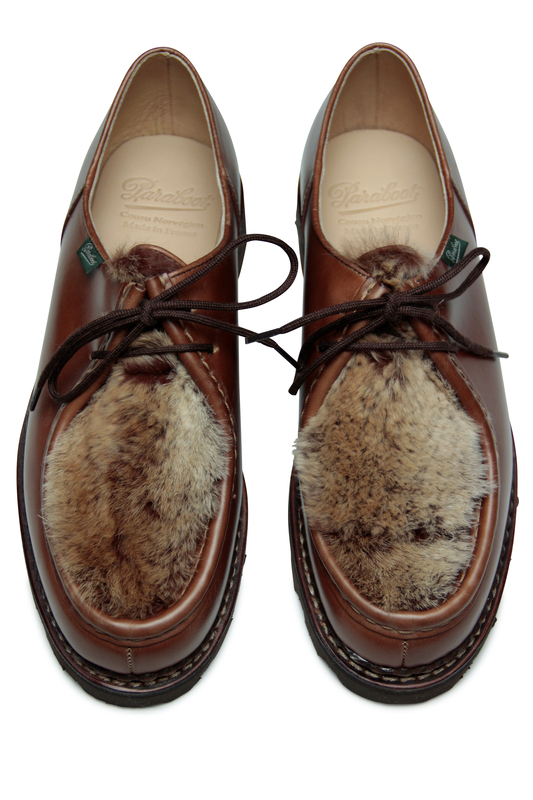 The Norwegian welt was particularly used for mountain and work shoes. Nowadays, it's also used for casual shoes. For the record, the origin of the name remains a mystery but has no connection with Norway. This solid and flexible mounting technique both makes the shoe waterproof and resoleable. In addition, the Norwegian welt creates an assumed sportswear look. From a purely technical point of view, the advantages of the Norwegian welt are comparable to those of the Goodyear welt.